Widely used in cosmetics, silicones give cosmetics an emollient feel and are also beneficial to the skin. However, their use is controversial given their negative impact on the environment, and for some, on human health. Replacing them therefore becomes a priority. 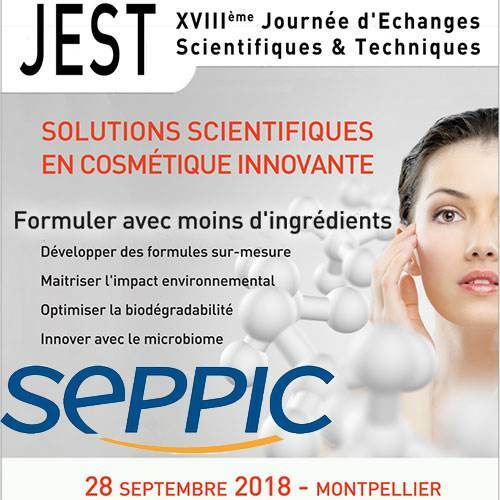 Sabrina Mizael, Seppic’s Emollient Product Manager, presented the alternatives developed by its company to eliminate silicones at the 18th JEST organised by Cosmed on 28 September 2018. Oils are among the essential cosmetic ingredients. They are appreciated for their texture, sensoriality and claims. They have different origins. They can be mineral, vegetable, animal, siliconated or produced from esters and fatty alcohols. The most commonly used are silicone oils (such as Dimethicone and Cyclopentaxilosane) and mineral oils. They are of non-renewable origin (silicon). Their manufacturing process is very energy-consuming. Silicone oils are non-biodegradable, they have inert and non-polar characteristics, which make them very stable in formulation. They have properties that are well known in cosmetics and highly appreciated, such as hydrophobicity and film-forming properties. In terms of sensoriality, they are known for their pleasant touch, more or less volatile, their softness and their mattifying properties. “The most commonly used are dimethicones, phenylmethicones and cyclomethicones. Today, D4 and D5 are limited to 0.1% in rinse-off cosmetics. The proposed restriction is based on the fact that D4 is a persistent, bioaccumulative and toxic (PBT) and very persistent, very bioaccumulative (vPvB) substance and that D5 is a very persistent, very bioaccumulative (vPvB) substance. This is why there is a strong demand for the replacement of these oils,” says Sabrina Mizael.